The Ferrari 250 GT LWB "Tour de France" Berlinetta spent most of its life in the U.S. before being bought by a UK collector. LONDON -- A 1958 Ferrari sold for $3.6 million last night as collectors competed for the finest classic cars and passed on others. Three of the top four lots failed to sell at a London auction, including another Ferrari, a Lamborghini and an Aston Martin. 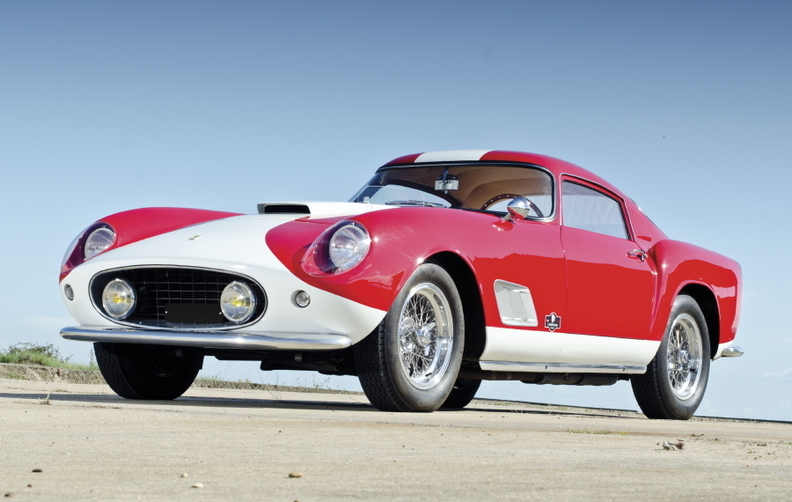 The Ferrari 250 GT LWB "Tour de France" Berlinetta was bought by a telephone bidder at RM Auctions. Its price with fees, 2.24 million pounds, was the highest of the evening. It was the most highly estimated lot, with a forecasted hammer price of as much as 2.4 million pounds. "They had to work hard to elicit bids," said Dave Selby, a senior analyst at the U.K.-based research company Historic Automobile Group International (HAGI). "There's still interest for established top level cars like Ferraris. The progress for Aston Martins over the last five years has been remarkable and one wonders how long it will last." The HAGI Top 50 benchmark Index of exceptional classic cars declined 0.35 percent in September. At bellwether auctions in Monterey, California, in August, records were set for the rarest models, while more routine autos sometimes struggled to find buyers. Demand is being reduced by worries about sovereign debt, volatile stocks and economic growth, dealers said. The top Ferrari, which at one point had its Italian engine replaced, spent most of its life in the U.S. before being bought by a UK collector and raced in the 2005 Mille Miglia, RM said. The auction's failures included a 1961 Aston Martin DB4 GT, one of only 75 built, estimated at 780,000 pounds to 880,000 pounds, and a 1955 Ferrari 750 Monza Spyder, estimated at 1.5 million pounds to 1.8 million pounds. This competition car, made in an edition of just 29, was driven by the American racer Ernie McAfee to eight straight victories in California in 1955. Buyers also passed on a red-and-gold 1972 Lamborghini Miura SV that was extensively restored in Australia in the mid-2000s. Reflecting increasing values for 1970s supercars, this was priced at 750,000 pounds to 900,000 pounds. RM offered about 100 investment-grade cars in its annual sale at Battersea Park, south London. Including 25 motorcycles, the sale was estimated to raise between 12 million pounds and 15 million pounds. The equivalent event last year -- featuring a James Bond Aston Martin DB5 at 2.9 million pounds -- made 19 million pounds with 87 percent of the cars successful, said RM. RM's official selling rate this year, like the total sale figure, was not immediately available and Selby said he estimated it to be about 70 percent. Further sales sometimes take place shortly after the auction itself. "Our sources indicate lower transaction volumes especially in average-quality cars," HAGI founder Dietrich Hatlapa said in an e-mail before the sale. "In that context, uncertainty about the global economic situation has had a somewhat negative impact. At the same time distinguished collectors benefited and continued to 'upgrade' existing portfolios selectively."